Everyone loves gifts this time of year, whether you celebrate a particular holiday or not. With that spirit in mind, we'd like to exchange gifts with you this month. 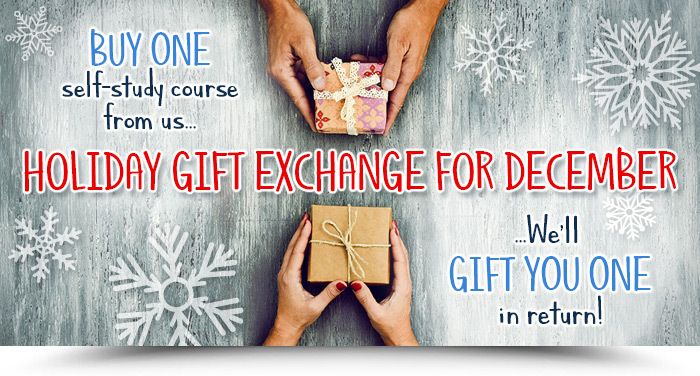 You buy one self-study course in our CE Learning Library during December, we give you another one FREE as a gift. Just choose the courses you want, place them in your cart and use our coupon code DEC18BOGO at checkout to get one free. You get the benefit of knowledge. We get to expose more of our library to dietitians like you. Now that’s a fair exchange. Offer expires on Monday, December 31, 2018 at 11:59 PM EST. This offer does NOT include CE Club Memberships, packages, multi-part courses, or Becky Dorner Programs.